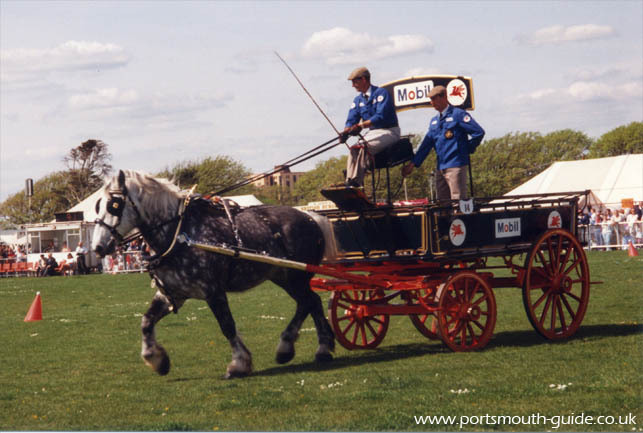 Portsmouth has been host to the Heavy Horse Parade for the past few years. 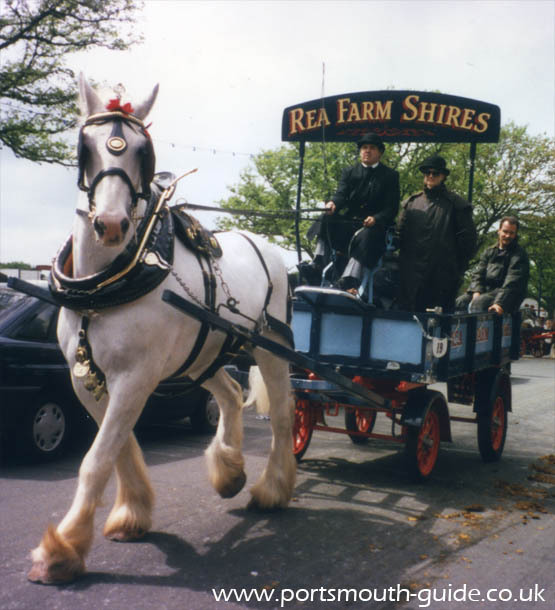 It is a chance for all the horses to pull a cart around the streets of Portsmouth for the public to see. The parade often takes about 20 minutes to pass and the horses have chances to win different prizes. The above photo shows one of the horses pulling a cart along Southsea sea front. As well as their parade there is also an obstacle drive where the object is for the horses to go between cones with balls on top without knocking them off and the fastest cart wins. There has also been a musical drive where carts perform to music. This is all on the Castle Field, close to the common and the pubic can come and watch for free. The above photo shows a cart making its way round the cones.